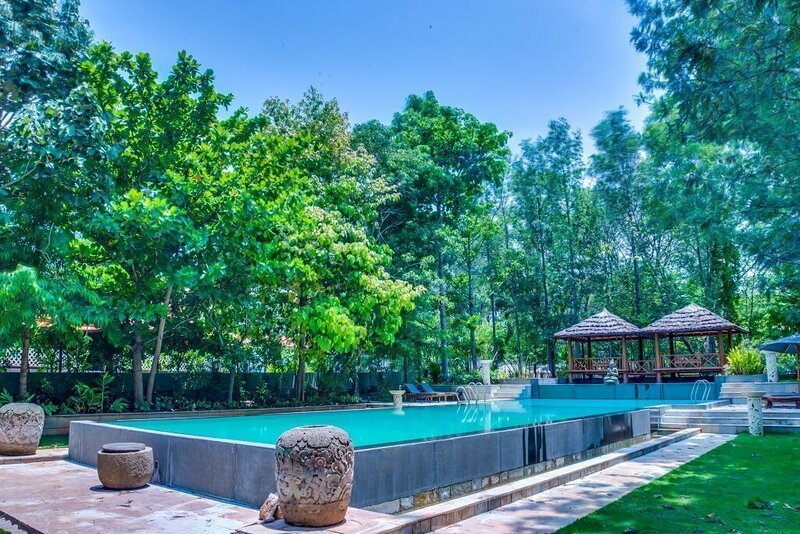 Quick fact– For a quiet, silent and calm vacation in the middle of 100 acres tea estate near Ooty.Amberina at Devala should be the choice for couple/family & group. 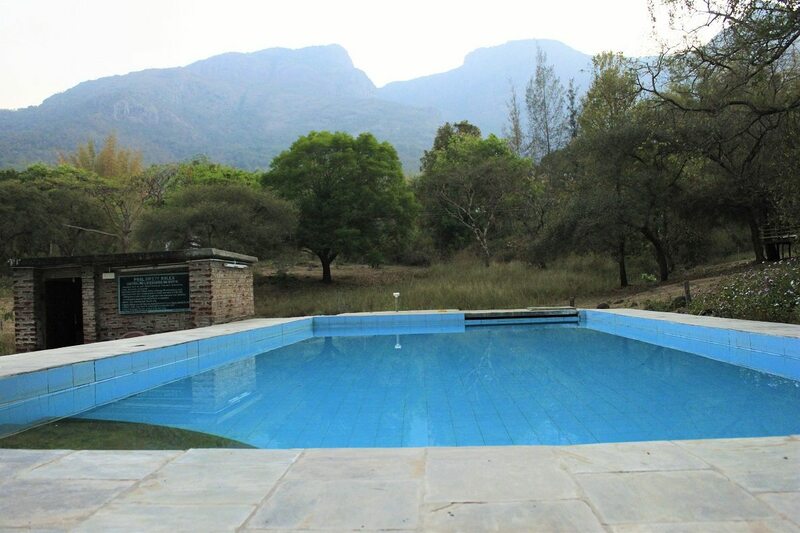 While looking for some cool places to spend the coming long weekend, I started searching for the best stay on the hills.March being the start of the harsh Summer in South India, I stumble on the website having Amberina which is in Devala town as their feature post. I quickly called my friend and decided to go ahead with the booking of Amberina.Spellbound by the sheer beauty of the classic bungalow which is in the middle of the tea estate.We arrived at the property from our self-drive Scorpio SUV hired from Zoom car.It took us 7 hrs from Bangalore with small breaks in between.Amberina situated in Devala, a little town which is 16 km from Gudalur surrounded by acres and acres of tea gardens and plantations. 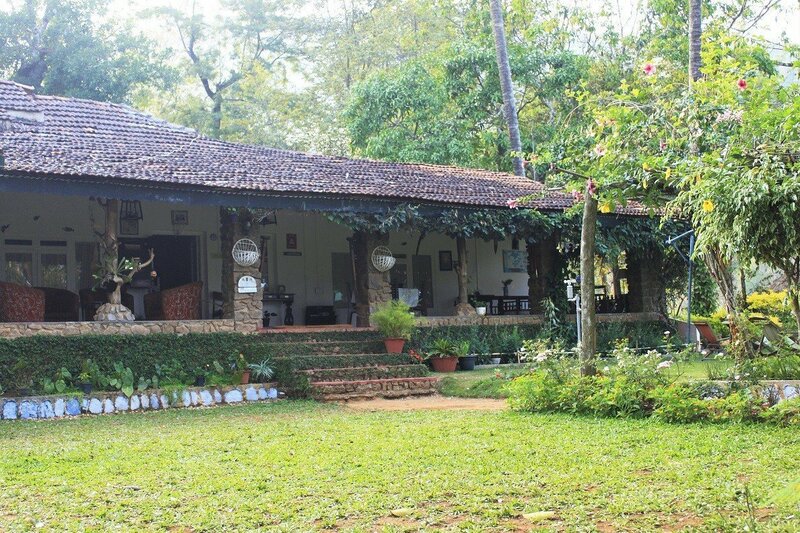 Once a planter’s bungalow, Amberina is now open to guests for those seeking the bliss of solitude amidst nature. 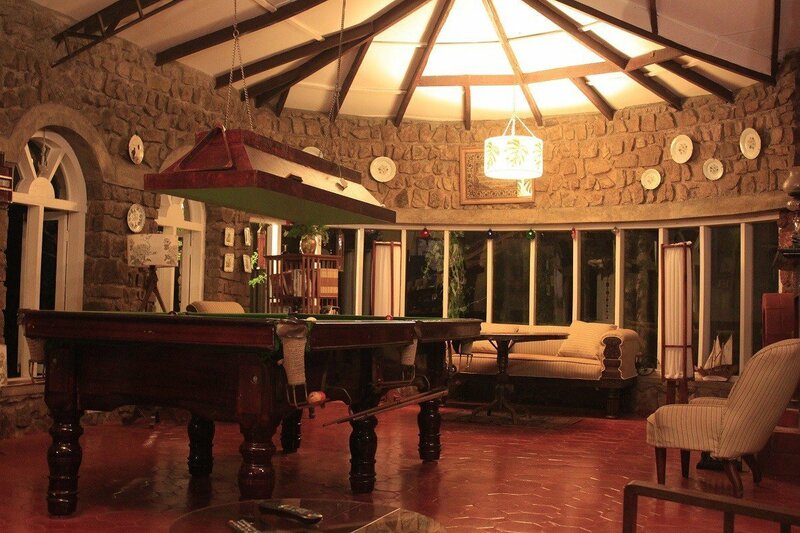 There are only three well-maintained bedrooms with large, clean attached bathrooms and a cottage with a verandah overlooking the green tea plantation. The common area is done in classic style with cozy dining area, high ceiling and a fireplace, old-fashioned red-tile floors and big glass windows overlooking the well-maintained garden. The in-house delicious food prepared by local staff is another plus point and a bonus reason to stay in the Amberina. We had lunch, dinner, and breakfast from the kitchen. Pampered with varieties of local food to choose and taste. The staff is extremely friendly and polite to accept readily our demand for the add-on for lunch and dinner like local tomato chutni. Our stay at Amberina was more of a laid back one rather than a tiring sightseeing vacation.Honestly, this is what we all did during our stay in the beautiful place. 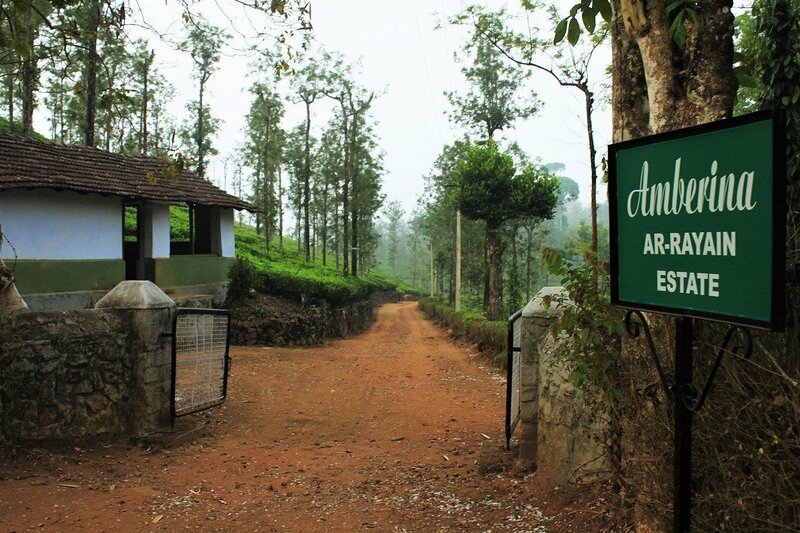 Trek through the tea estate in the morning and evening. Swim in the first of its good spring-fed natural swimming pool. Lots of gossips and stories over the drinks and bonfire in the evening. This was our first stay in the middle of the tea estate, and honestly, we all liked & enjoyed our comfortable stay at the bottom of our hearts.Not all vacation has to be full of “things to do” and “local sightseeing.” If you want to enjoy some time with yourself and with your special one, head to the Devala hills and tea estate for a better holiday. 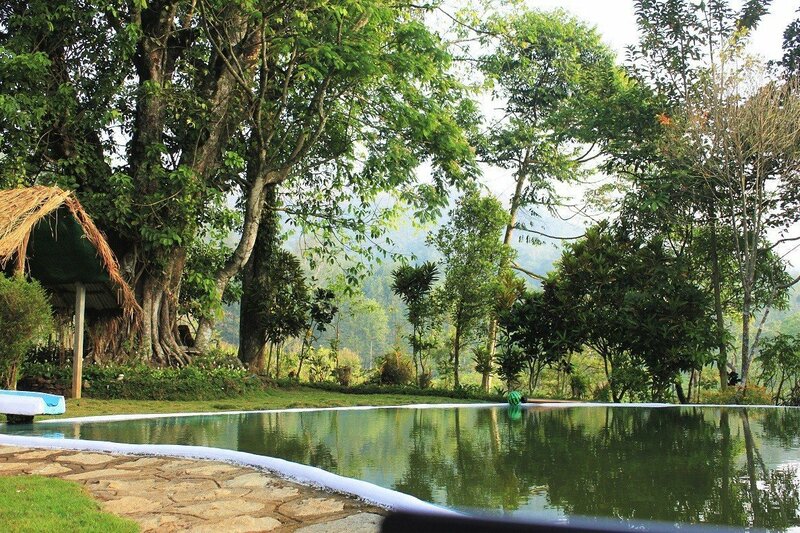 Suggested Read– Another Awesome property of Sinna Dorai Mangorange at lower Nilgiri. Read more about gold mining history, and how we explored another offbeat estate a bit ahead of Amberina. Please rate the article on “Amberina” by clicking on the stars. We value your feedbacks! Nice Place to go on weekend!!!! Nice article.Thank you for sharing the information.I really glad enjoy read that topic.I appreciate post for your. Seems it will give beautiful memories. Will surely go.someday. great article though !! 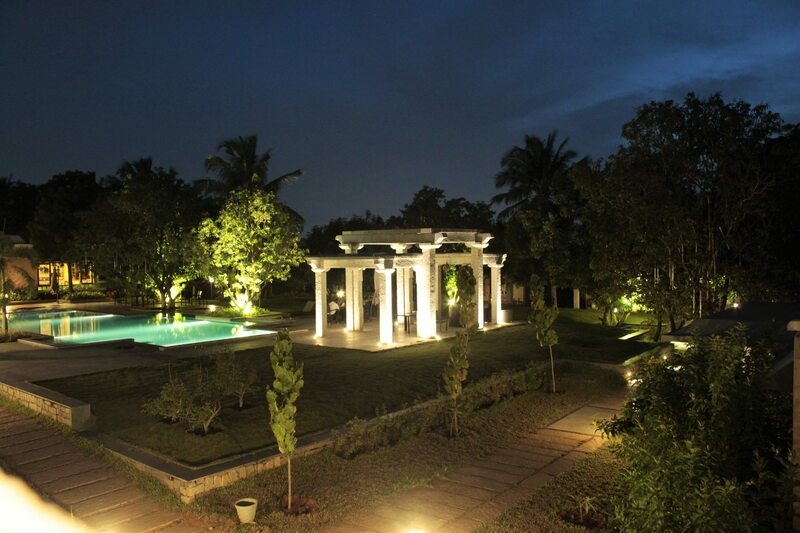 Thanks Khushi- yes its awesome place, do let us know your experience once you visit this place. Great photos of the place, really bringing it alive. I don’t think many people outside of India would think of staying at a tea estate for a retreat, so presenting this is a good idea for people such as me. My only suggestion is you might want to introduce the area, the locale, for people who are not familiar with India. It sounds like an oasis of relaxation which is what we need sometimes! We take a lot of go-go-go type vacations so this type of trip sounds perfect. This looks like a wonderful place to stay, and so relaxing. I would love to walk through the tea fields and learn more about tea. Beautiful place. I’d love to take a tip in that natural pool!! Are you taking more bloggers that can do reviews on board? I have visited some places worth reviewing. Sounds like a relaxing place to beat the summer heat. Looks like a nice play to stay. OMG! I would never had expected that there is such a beautiful place in india! I am a tea lover so I would totally love to visit the Tea Estate. It looks like a perfect place for resting and rejuvenation. Perfect place to meditate as well! I was wondering if they have specific tea recipes. Thank you for this great review!